The online smartphone retailer Erafone looks to be spilling the beans on just about every spec for the upcoming Samsung Galaxy Note 4 and the price, at least in the local currency. At 9,499,000 Indonesian rupiah, which is approximately $813 or €607, the next-gen phablet looks a little steep in value. Keep in mind Erafone might just be using the number as a placeholder. Samsung has yet to officially announce the device or any of the specs. At the heart of the device could be a 5.7-inch Super AMOLED screen, along with a storage capacity from 16GB to 128GB via microSD card. We might also see either a quad core 2.5GHZ Snapdragon processor or an octa-core Exynos 5433 powering the phone, plus the Android KitKat 4.4.3 OS. Speculation places the Snapdragon model hitting US shores, while the octa-core will be available in international markets. With three weeks before the expected announcement from Samsung: Will the Note 4 live up to the hype? That has yet to be determined. 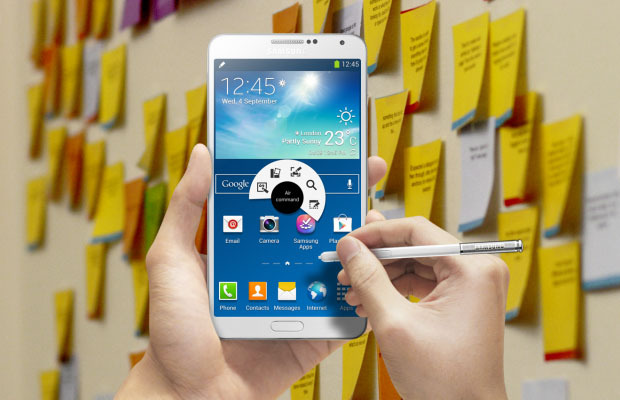 Related: Will the Samsung Galaxy Note 4 Feature A Eye Retina Scanner?